Andrew leads the delivery of musculoskeletal services at The Physio Circle. Andrew is a Chartered Physiotherapist with a wide range of clinical experience in both public and private sector settings. He began his career in the NHS where over the years he progressed through the ranks up to the level of an Extended Scope Practitioner. Andrew also has experience working in private practice since 2006, developing a wealth of experience before starting his own business, The Physio Circle. 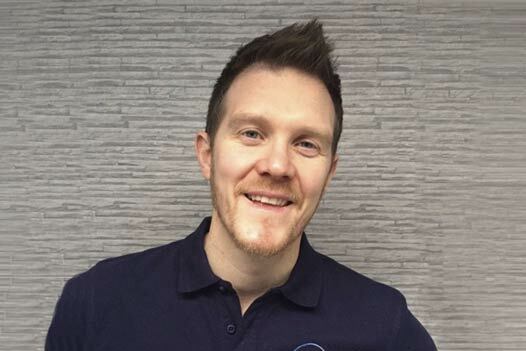 Andrew is passionate about his work and continues to develop his evidence based knowledge and skills within the field of musculoskeletal physiotherapy and sports injuries to optimise his patient outcomes. He has specialist interests in musculoskeletal physiotherapy, sports injuries and golf performance. Here at the Physio circle all of our Chartered Physiotherapists are a minimum of 10 years qualified. We provide Physiotherapy services to Hazel Grove, Bramhall, Poynton, Woodford, High Lane, Disley, Marple and the Stockport area. We provide General Physiotherapy, Sports Physio, Sports Massage, Pilates, Acupuncture and Post-operative Rehabilitation. My husband recommended Andy as I had been suffering from niggling back pain for a while. Andy immediately put me at ease and identified the problem areas. Having had a few sessions, some on a Saturday, and being given simple but effective exercises to complete at home I can feel the difference. As with all the other reviews I would definitely recommend Andy without hesitation. I was sent here by the insurance company following a road accident. Andy is great, as well as a top notch physio he's a really nice guy and puts you at your ease straight away. He got my back into shape and designed an exercise program for me that I can continue to use in the future to keep it that way. He always managed to schedule appointments to suit my bizarre work patterns, I can't recommend him highly enough. Great service! Went to Andy with a knee problem I had been suffering from for 3 months with no improvement and after a month of sessions with Andy I was back playing football! Very knowledgeable and friendly. Strongly recommend and will be using again for any future issues!